Pelton Wheel is considered as the most popular impulse turbine which is used successfully all over the world. For high water heads and low discharge, impulse turbine is most suitable. Still, many scientists and engineering professionals are busy in developing improved types of impulse turbine. Some of them got success in developing a new one but these improved turbines are not having practical importance due to many reasons. Hence from an education point of view, here I am going to share some information on different types of turbines. In a Girard Turbine, the direction of flow of water is parallel to the axis of the wheel. The guide vanes allow the water to impact through two diametrically opposite quadrants. To generate large power under low water head, Girard Turbine is used. In the case of low heads, the turbine wheel is kept horizontal and for larger heads, the wheel is kept vertical. In this turbine also, the flow of water is kept parallel to the axis of the wheel as of Girard Turbine and used one or two nozzles as like Pelton Wheel. In Turgo turbine, the jet of water strikes buckets at one end and leaves at the other end. While in Pelton wheel it strikes at the centre of the bucket. The flow of water is regulated by a spear. For the same jet diameter and discharge, the diameter of Turgo turbine is much less than that of Pelton Wheel. But its peripheral speed is higher than that of Pelton Wheel. In a Banki Turbine, the jet of water after striking the buckets is made to pass through the runner which gives some impulse to the runner. It is considered that the velocity of water is utilized twice to improve the efficiency of the turbine. In actual practice, the theory of using twice the velocity didn’t get success. 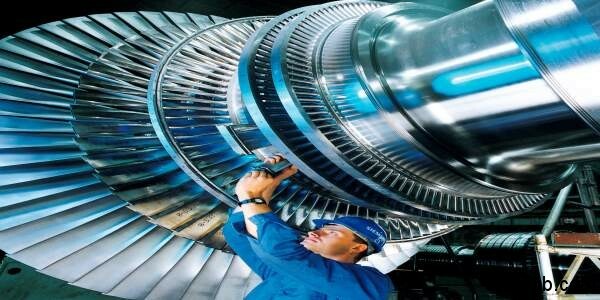 Though engineering sector failed to succeed in Banki Turbine, this theory is successfully utilized in steam turbines. Will you like to know, how hydroelectricity is generated using these turbines?